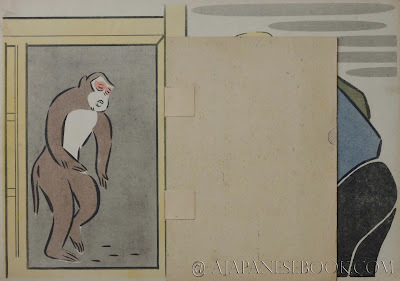 Description — Folio (38 x 27 cm), 23 ff. 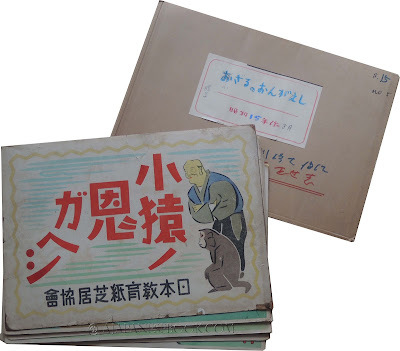 (complete), 4 mobile pieces, full-page color illustrations on obverse, text (in Japanese) on reverse, in a paper portfolio (the portfolio is more recent; it bears Kawasaki Daiji's wet stamp with name and address). 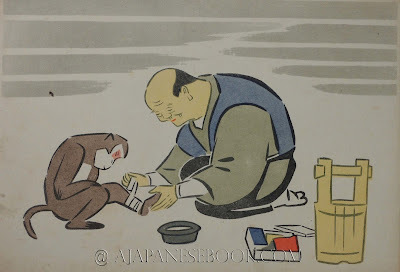 État / Condition — Good (heavy wear to the first and last plates, fine for the rest; some old mending; in the last plate, one fragile piece of paper (the fan) was replaced with an hand-drawn piece). 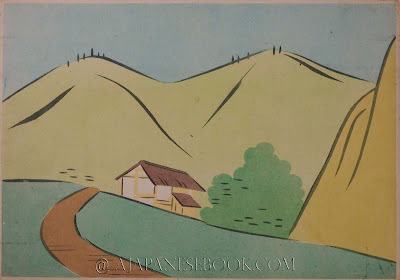 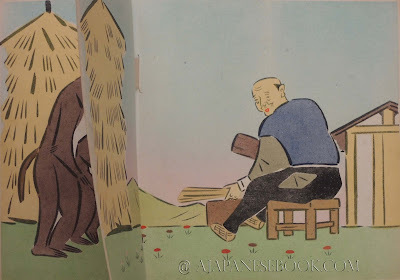 Remarques & avis / Review — A gorgeous and very rare kamishibai (paper theater) by Daiji KAWASAKI, wonderfully illustrated by Masayoshi NISHI. 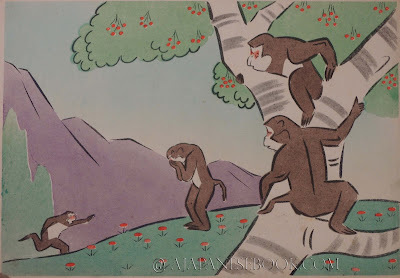 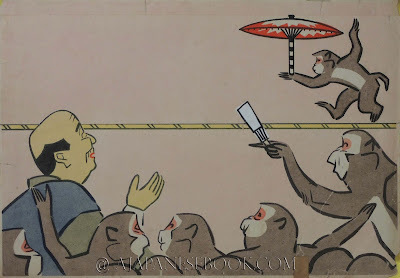 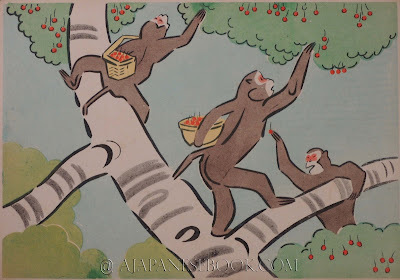 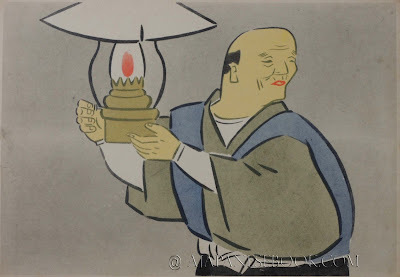 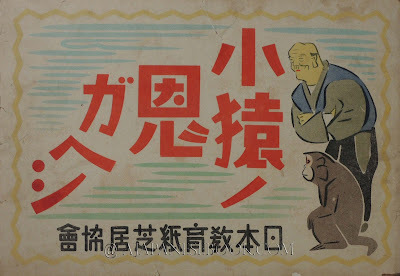 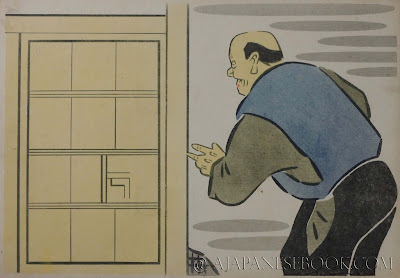 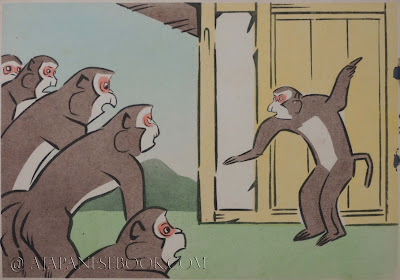 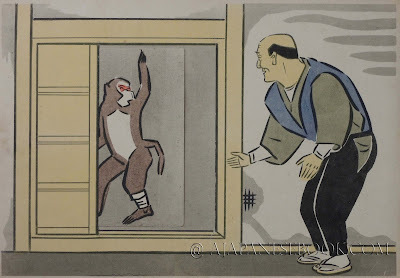 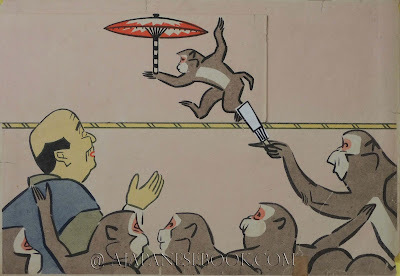 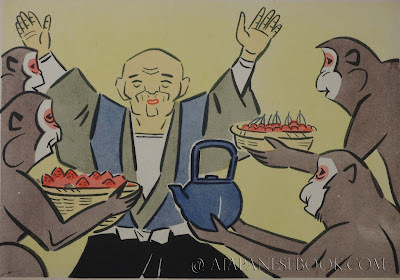 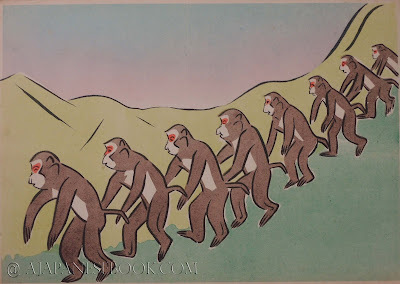 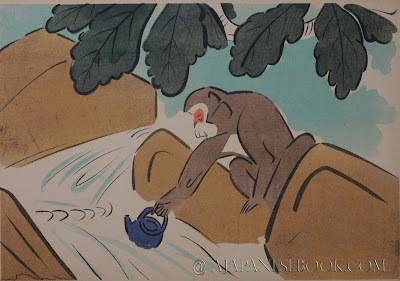 It tells the story of an old man who saves a monkey, that helps the old man in return when he falls ill. One particularity of this kamishibai is that it entails four movable pieces that allow the story to progress further in a single illustration (a door opens, a character leaves, enters or moves about the picture).